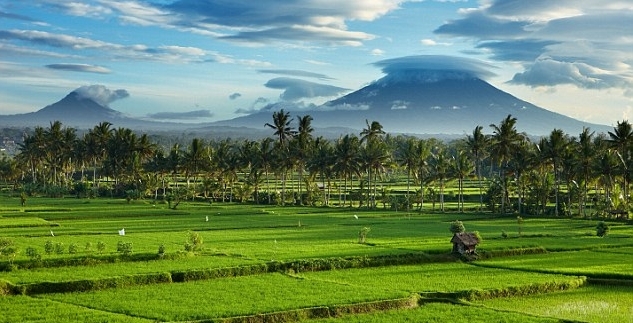 Bali 2019 - travel to the land of Devotion - Bali, Indonesia - and enjoy a yoga retreat with Biffy, Annie & Tyler focusing on physical health, mental clarity, and a happy heart while also exploring the Spirit of Balinese Culture. Rich with ancient culture and traditions, wonderful people, beautiful art and vibrant nature, Bali is a sacred island paradise that you will blow your mind, excite your eyes, and touch your heart. The Bali experience is so unique and special because of the warm genuine nature of the people and the generosity in their customs. This is our 5th program on this beautiful and magical island, and we are excited to return again. This is a unique opportunity to retreat from the world you know and dive deeply into your spirit and your yoga practice. This special journey will refresh your heart connection with yourself, yoga, and the greater global community.